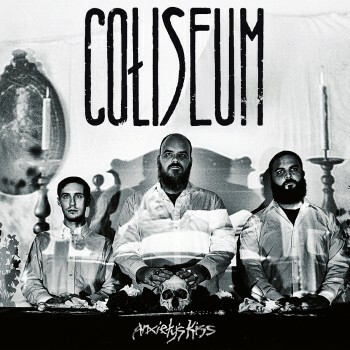 There’s no doubt about it: Coliseum are punk veterans at this point in their career, developing from their crustier d-beat beginnings to the more nuanced post-punk band they are today. 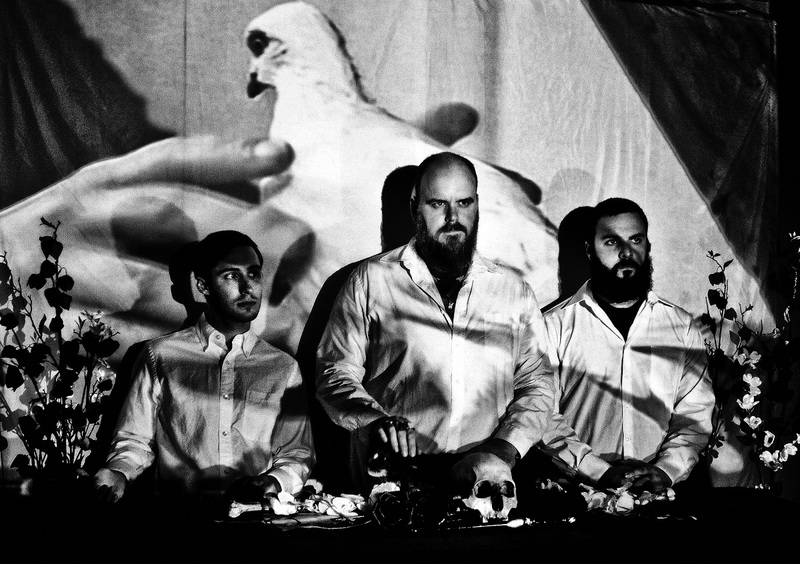 In a musical climate that is increasing tougher on independent heavy music, Coliseum have stuck through it all, likely due to their consistently fantastic album. 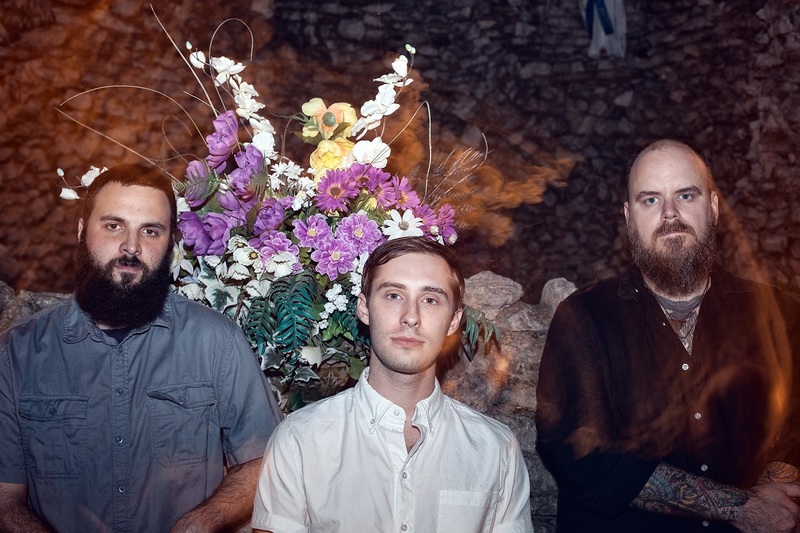 Their latest, Anxiety’s Kiss, is no exception, as it expands upon the band’s sound while still bringing the catharsis that fans have grown to expect and love. 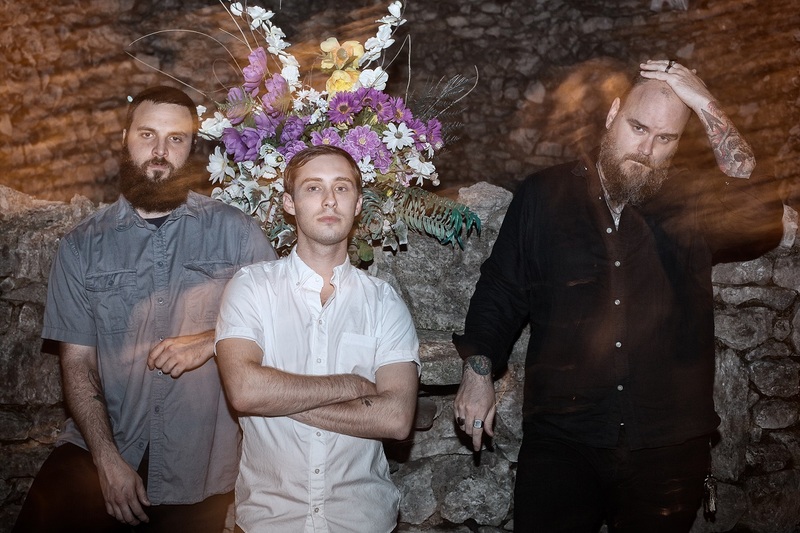 I chatted with the band about their new record, social justice, and the state of punk in 2015. Anxiety’s Kiss seems like one of those undesirable kisses, like the ones your drunk uncle gives at Christmas. What inspired the album title? My uncles don’t drink much and I don’t recall any of them ever kissing me, so I lucked out in that department. The album title seems relatively self-explanatory so I hesitate to over-explain it. For those that have felt overwhelmed by their own minds and overcome with fear at the thought or act of doing things that have been mundane activities in their lives prior, or are nearly constantly crushed under the weight of existential questioning… They have felt that kiss. Anxiety’s Kiss is your most experimental record, and sees you toying with a number of elements not present in your earlier music, such as the synth textures found throughout the record. Was this a conscious decision to switch it up a little bit, or did it just naturally happen? We always want to try new things and never repeat ourselves, so our goal is not to be experimental per se but to not stay in a rut or run in circles. To that end, we did different things that occurred naturally on this album, like having a couple of songs where I didn’t play guitar or where synth played a bigger role in the instrumentation. “Sister Faith” has a good bit of synth texture, but on Anxiety’s Kiss one of my goals in general was less subtlety in the mix; if something was in the song I wanted it to be heard clearly. So the synth played a bigger part. There are also songs that are different for us like “Driver At Dusk,” something that had been gestating in my mind for a while but this was the first time we’d fully executed it. How was working with J Robbins? Did his presence bring anything to the table that was absent before? Working with J. is always wonderful. He’s a great friend and an essential part of our process at this point, considering this is the third Coliseum album he’s done with us, plus an EP and live album. I first worked with him in another band twelve years ago and we’ve been friends since. There’s a shorthand and shared point of reference that makes things incredibly easy and comfortable at this point. His positivity and ideas always bring out the best in us and our songs and his production, especially on Anxiety’s Kiss, is truly wonderful. The album seems like it is getting quite a few positive reviews. How much attention do you pay to the press’ opinion (positive or negative) on your music? A great, considered, and thoughtful review or analysis of the record can be meaningful and even inspiring. When we see reviews, we appreciate the positive ones and we chuckle at the negative ones. We greatly appreciate anyone that supports us. A lot of Anxiety’s Kiss’ lyrics revolve around social issues plaguing the modern condition. Do you feel like rock in general is doing a good enough job covering these issues or has social consciousness fallen off heavy music’s radar? Art has always addressed the social condition and climate and it’s very strong currently, whether it’s Coliseum or Run The Jewels or whomever. I feel like it’s been most prevalent in the cultures of punk and hip-hop and their musical outlets. “Rock” seems to be more about entertainment and entertainment generally doesn’t want to bring the party down by thinking about class struggle or the lack of empathy in society. I’ve found it interesting that only three out of ten of the songs on Anxiety’s Kiss address these things at all, but many people have reacted to and asked about those songs. I know it can seem blasé to write about these things, I often try to shy away from them because it feels like a road well traveled, but it’s important to be share these raised voices and fists of solidarity. The reaction to these songs reminds me of that and shows me that these songs are needed as much now as ever. Were there any bands, political figures, or peers who inspired you to be aware of social issues? I was hugely inspired and socially/politically awakened by the Washington DC punk scene when I was an early teen, specifically Fugazi and the State Of The Union compilation album and accompanying booklet/zine. It truly changed my life and perspective in so many ways. There were so many bands throughout my life that have been inspiring personally and politically that to name them all would fill a book. In my adult life, my wife Jamie has been a massive influence on me in that regard. She’s a much more widely read and more informed person than me, she currently works for a social justice organization in Louisville. She is very inspiring and informative. I’ve learned more from her than from any other person in my life. Whenever I hear the name Coliseum, the first thing I think about is the martial arts movie Best Of The Best 2. Then the Coliseum in Rome, naturally. Where did the inspiration for the band name come from? I have never seen or heard of that movie. Eric Roberts as a martial artist is probably quite a laugh. The name Coliseum was initially inspired by the name of a guitar amplifier, but I was mainly surprised that it was a name no one had used as it seemed to perfectly simple and powerful. Of course, there is/was a prog/blues band called Colosseum from the 60s/70s that people like to angrily remind us about every once in a while. You guys are veterans at this point, having released your debut record over a decade ago. How has the scene changed over the past 11 years? Scenes change constantly, I can’t really document it or sum it up in any meaningful way. There are always great things happening in music. I’ve seen people be very involved then move on to other things in their lives. Community is more important to me than any specific scene and I do what I can, while also have to also live my life and follow my passions. I’m happy to have so many great friends through music and this community that I’m close to through my time in Coliseum and even years before. Is this something you see yourselves doing a decade from now? This is your first record with Deathwish Inc., a pairing that I personally think makes a lot of sense. How did you guys end up working together? I’ve been friends with the Converge guys for around fifteen years, since before Coliseum began. We’ve worked together on many projects, I’ve designed many Deathwish releases, Coliseum released a 7” with Deathwish in 2009 and reissued our first album with them in 2014, plus we’ve toured with Converge many times over the years. One of my side projects Whips/Chains also released a 12” on Deathwish. Jake and Tre from Deathwish have been very supportive of Coliseum and my other bands over the years. It made perfect sense for Coliseum to join the Deathwish roster, we are all friends and part of a close community. Could you tell us a little about the video for “Dark Light Of Seduction”? How involved were you in coming up with it’s concept? The video was directed and created by Mickie Winters, the photographer who shot the photos for the Anxiety’s Kiss album artwork. I told her some of my ideas and inspiration behind the song but left the rest of imagery and execution of the video up to her. I was very happy with the results. Our videos are made with practically no budget. They are made by people we know who have an artistic perspective that we appreciate and who essentially donate their time and effort to create a visual accompanyment to one of our songs. I hope to make videos for all of the songs for Anxiety’s Kiss. Are there any new, upcoming bands on the scene that you feel deserve more attention? There are a lot of current bands I’m digging, including but not limited to: Criminal Code, Bellicose Minds, Xerxes, The Austerity Program, Börn, Moth, Infinite Void, Dark Ages, Seaside Caves, Arctic Flowers, Rule Of Thirds, Disappears, TV Freaks, Publicist UK, Pile, and certainly tons more I’m forgetting.